In 2016 Saskia Boddeke and Peter Greenaway have been invited by the Louis Vuitton Foundation Paris to contribute with a video installation to the exhibition: Icons of Modern Art. The Shchukin Collection. This exhibition with masterpieces of Picasso, Monet, Van Gogh, Gauguin, Matisse amongst others, paid tribute to one of the greatest art patrons of the early 20th century, Sergei Shchukin, the visionary Russian collector of modern art. Boddeke created a poetic multi-screen video installation inspired by the two paintings: La Danse and La Musique of Henri Matisse. The installation is a visual poem that tells about these two paintings, the relationship between the painter Henri Matisse and the collector Sergei Shchukin and the timeframe they lived in. 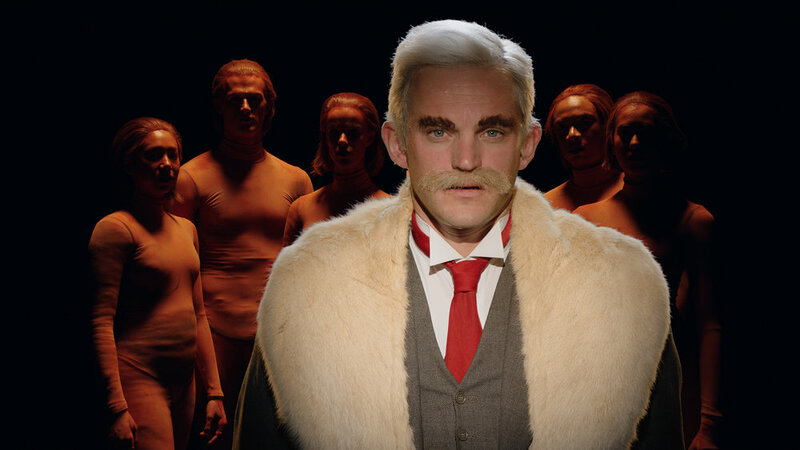 Boddeke has created an atmosphere of balance and harmony with actors, animation and dance. The music is composed by the Italian composer Luca D’Alberto and reflects the sound of the painting Music. The dance by the Spanish choreographer Juanjo Arqués is performed by dancers of The Dutch National Ballet. In 2018 Saskia was invited by Art Exhibitions Australia, to contribute with the installation Chtchoukine, Matisse, la Danse et la Musique to the exhibition Masters of Modern Art from the Hermitage for Art Gallery New South Wales in Sydney.